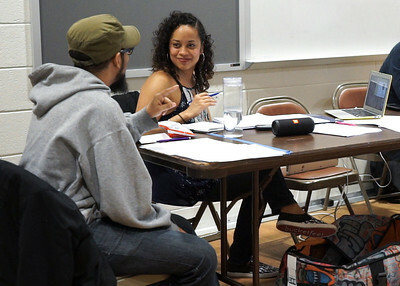 L to R: Nick Hernandez, drum Programmer, with librettist, director and choreographer Paige Hernandez at the first reading of "Stomping Grounds" at the Kennedy Center for the Performing Arts in Washington DC. Image by by Lucas Godlewski, LGod Photography.. Image by by Lucas Godlewski, LGod Photography. 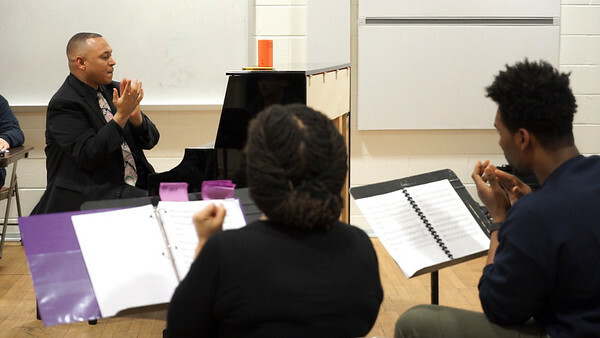 Composer Victor Simonson at the first reading of "Stomping Grounds" at the Kennedy Center for the Performing Arts in Washington DC. Image by Lucas Godlewski, LGod Photography. 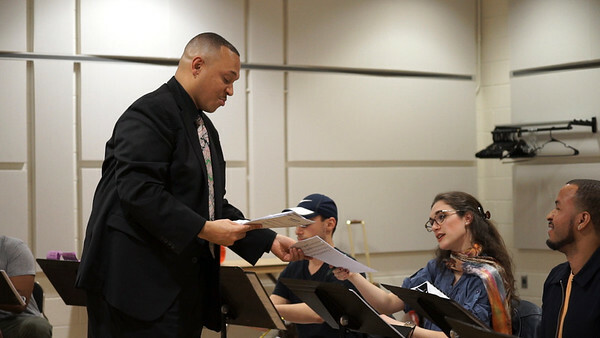 L to R: Victor Simonson, Aidan Kahl, Rachel Duval, and Jawan Jenkins at the first reading of "Stomping Grounds" at the Kennedy Center for the Performing Arts in Washington DC. Image by Lucas Godlewski, LGod Photography. 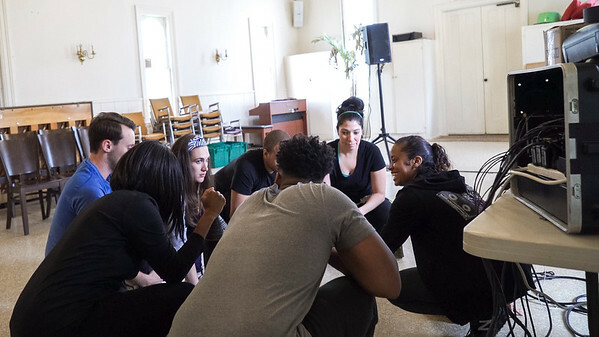 Paige Hernandez (right) rehearses with the cast of "Stomping Grounds" in Cooperstown, New York. Image by Lucas Godlewski, LGod Photography.